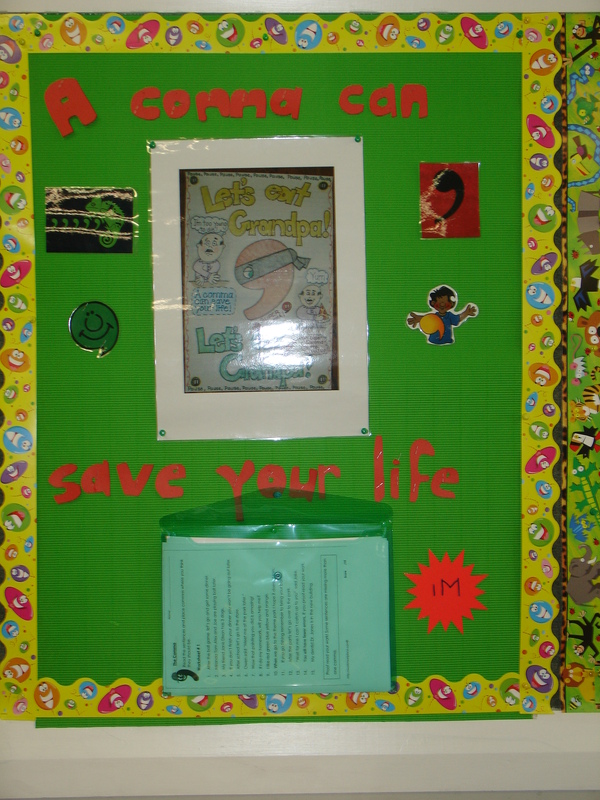 We have used interactive bulletin boards during the first term of Grade 4. Each board has some sort of worksheet and the children are rewarded with merits for each activity completed. The answers to the worksheets are up in the classroom so they are self correcting. 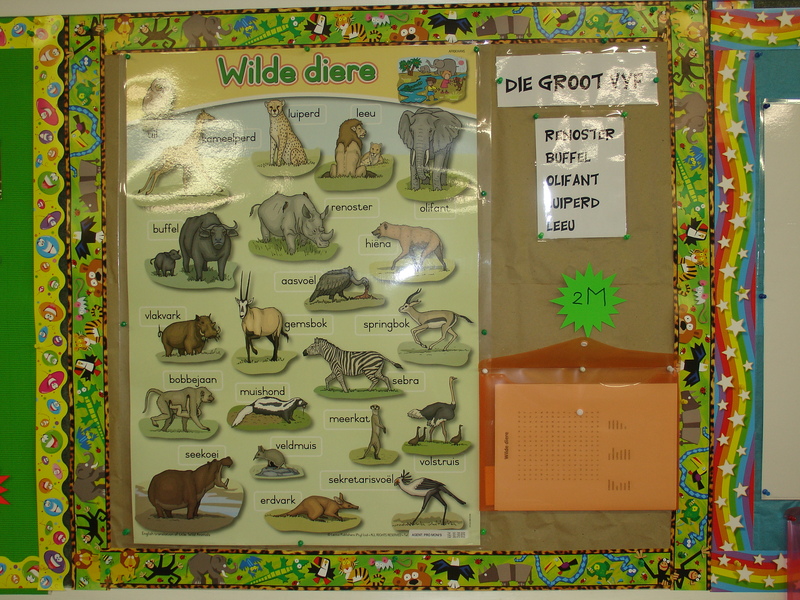 Each child has a folder in which their worksheets are stored. 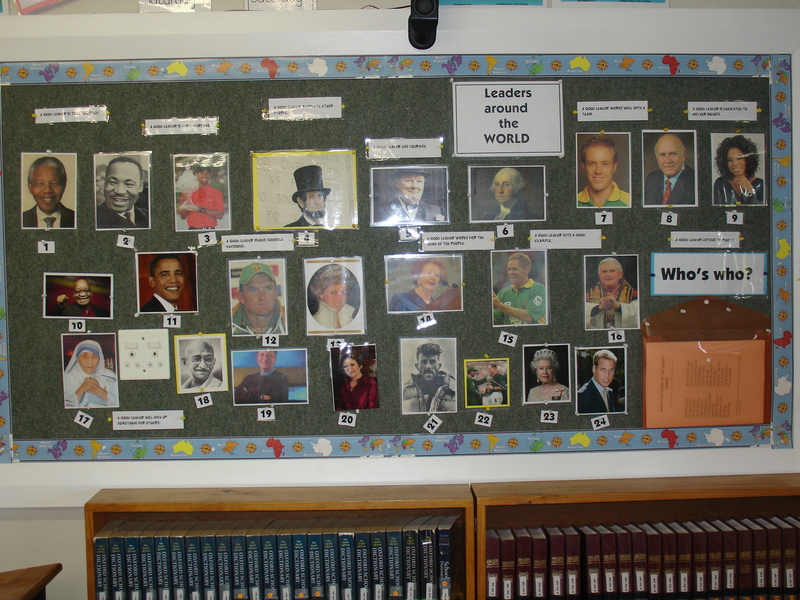 The children had to match the picture of the leader with the names on the worksheet. They were allowed to discuss it with each other or even involve their parents who often come into our classes in the mornings. They learnt the names of the animals for spelling and completed a search-a-word to reinforce the spelling. 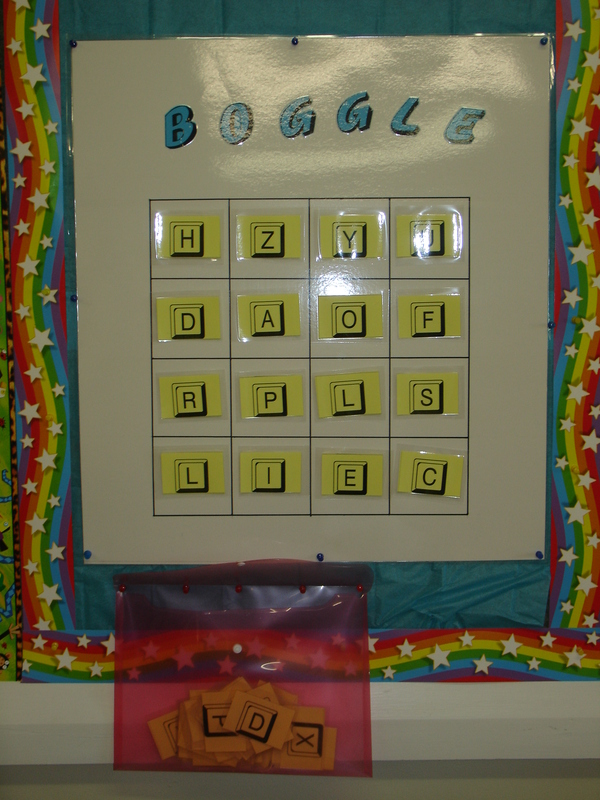 Every Monday 16 new letters are put up on the Boggle board and the children need to make as many words as they can. They may work in pairs. The words are handed in on a Friday and the team/child with the most words earns merits. A punctuation sheet on commas was replaced every week.